For a clear visual into how much we give on average, let's take a quick glance at some statistics provided by Given USA 2016, the annual report on philanthropy. In 2015, charitable giving totaled $373.25 billion, which was up 4.1% in current dollars from 2014. This totals the sixth consecutive year that giving has risen and the second record setting year following the $358. 38 billion totaled in 2014. The average growth in charitable giving is 3.6%, when contrasting GDP fluctuations from 2010 through 2014, which is greater than the GDP at 2%. Again, to gain a general idea of the breakdown of charitable giving, we'll view some statistics. History has shown that Religious Groups have received the largest portion of charitable contributions. In fact, in 2015, this group experienced growth for two years straight. Of the 2.7% in donations as of current, $119.3 billion, or 33%, has gone to Religious Groups. Educational Charities-Contributions to education charities increased to $57.48 billion, or 8.8% after adjusting for inflation. Arts, Culture, and Humanities-also experienced an increase in contributions. This sector saw an increase of 7%, 6.8% inflation adjusted, to $17.07 billion. Environment/Animal focused charities-saw an increase to %10.68 billion. This equates to an increase of 6.5%, or 6.1% inflation adjusted. Human Services Charities-contributions were up to $45. 21 billion, which averages and increase of 4.2%, or 4.1% when factoring in inflation. Public-Society Benefit Charities-experienced $26.95 billion in charitable giving. This is an increase of 5.9% when adjusted for inflation. 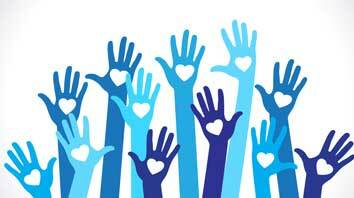 International Charities-experienced $15.75 billion in giving, an increase of 17.75%, pr 17.4% after factoring in inflation. Foundations-Lastly, Foundations saw a decrease of $42. 26 billion in charitable contributions, which equates to a decrease of 3.8%, 4.0% after factoring in inflation. Giving grew in every category of giver, including foundation, corporation, individual, and bequest. As history shows, donations from individuals account for more than 2/3 of all donations. However, if you factor in gifts from family foundations and bequests, which are also categorized as individual donations, then individuals account for more than 80% of all charitable giving, making individuals, not large corporations or foundations, the largest group of contributors of annual donations. Corporations-gave $18.45 billion, which translates to a 3.9% increase, or 3.8% inflation adjusted. Foundations-contributed $58.46 billion, an increase of 6.5%, 6.3% when factored for inflation. Bequest Contributions-increased 2.1% to $31.76 billion, 1.9% when you factor in inflation. 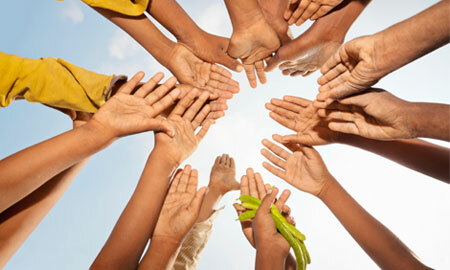 Individuals-,as previously stated, accounted for the largest group of givers. In previous years, individuals accounted for $264. 58 billion, for a total of 71% of all charitable giving. This represents a 3.8% growth over 2014, 3.7% when you factor in inflation. Though some nonprofits began the year anxious about a rocky stock market and that the presidential elections might divert contributions from nonprofits to presidential candidates, researchers conclude that it may be too early to forecast how giving will fare throughout the entire year. However, a report by fundraising forecaster Atlas of Giving projected earlier this year, an increase in charitable contributions of 2.6%. Projections released in January by the philanthropy-consulting firm Lily School and Marts & Lundy, concluded that contributions was expected to rise about 4.1% this year. Furthermore, stocks have regained their strength since the beginning of the year and some recent studies suggest that elections have no bearing on giving to charities.